Home Soccer Francisco: "We are not going to stop being an ambitious team"
Francisco: "We are not going to stop being an ambitious team"
The coach of Huesca said that Yangel Herrera and Enric Gallego, the last two reinforcements, could have minutes against Atlético. The coach of SD Huesca, Francisco Rodríguez, has warned that they will not stop being "an ambitious team" in Saturday's match at El Alcoraz against Atlético (18.30 hours) , although he pointed out that they must correct "things to Defensive and ambitious level "with respect to last weekend and reduce the" arms "of the rojiblancos, taking advantage of being the team" that has thrown more door "after FC Barcelona.
" We will not stop to be the ambitious team that we lacked to be the second part against the Leganés.To win you have to do things very well, regardless of the scheme we can use tomorrow, "he said at a press conference, although he confessed that they will" correct things to defensive level and ambition "with respect to the duel against the Leganés. Así, believes that they should" try to make a long game and be balanced, both with ball without him. " "El Atlético is accustomed, he has been playing for many years 'Champions', Cup, Liga, they are players who are used to playing Wednesday-Sunday for four straight months" , he said. "Tomorrow is going to be the day, we are going to be successful and we are going to trust that, everybody is motivated, it is a nice match to play, at home and against Atlético", he added. better version to win Atletico, there is no other . This team has always given the face in the league, what happens is that we come from doing a very bad second part and we all have that in the retina because we are bottoms with 11 points. to continue believing, get three points tomorrow and not look at anything other than competing well, to get the best version of each and get three points, "he continued. 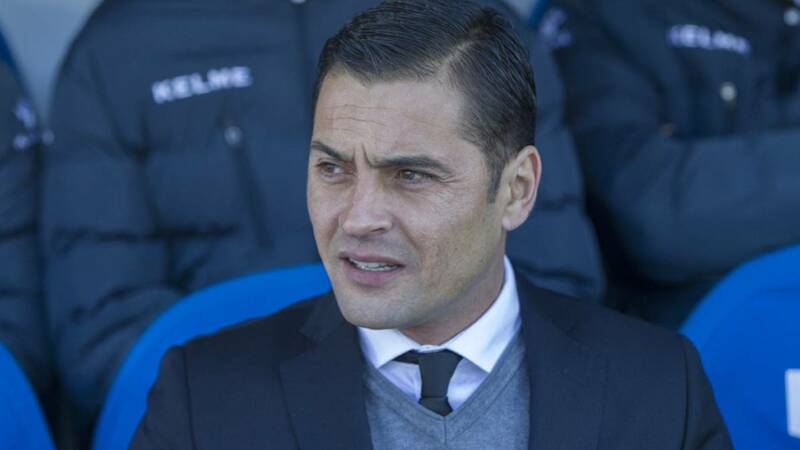 In addition, the coach Huesca listed the virtues of the rojiblancos . "Atlético is good at short markers, when it hits you, it hits you hard, it has a fantastic transition, defensively they are a strong block ... We, playing at home, have to do what we always do: try to be a very aggressive team We will suffer, because they will demand a lot, but we have to be brave and try to make a game that gives us three points, "he said. Francisco also stressed that the ' Cholo 'come to do "one of their best games and lose" in the Cup against Girona. "It was unfair, it's a well-worked team, very well armed, with top-level players who take any goal in any situation, with a player like Griezmann, who is now a hundred percent. We are going to put it complicated, to do things very well and not let them take off their weapons, which logically are many they have to win, "he said.
" They come from suffering a hard stick, because they had not fallen in Cup for many years, and they will want to make up for it here at El Alcoraz, we also need to win, and it will be a competitive game, nice to see, with two teams that need three points for different objectives It will be nice to see for our people and we will try to reach the end with those three points we need, "he continued. The Andalusian coach also surrendered to Simeone's work. "For me it is a benchmark that has been doing so many things for so many years and convincing the player of the same, in the end, it is one of the best coaches in the world. It has its philosophy of play and it takes it to the letter, we must recognize that it is fantastic work that he has done for so many years, "he said. On the other hand, Francisco recalled that they are the team that throws most behind the leader, and said that the team" has generated things "without playing" with forward center reference". "Of the last ten games we are the team that has thrown the most on goal, only behind Barcelona, so although we have to be realistic, because we are colist, things have been done well. He has deprived of adding more points, people are well motivated, the injection of new people makes us better ", he said. Also, he hopes that they can recover their aim. "We said on the day of Betis, we did not want to generate so many chances and we wanted to have three points, tomorrow we will try to do the same, generate the necessary opportunities to win and compete well, I am one of those who think that we have to play well for win ", said. In another order of things, he hopes that they can improve the performance of last weekend. "The second part of Leganes may have been in LaLiga is the worst we've done since I'm here, we did not know how to face a match as important as last week.possibility before a good team, which is up and we do not know it. I will not stop believing. I'm strong and I'm fine, "he said. Finally, Francisco was enthusiastic about the additions of Yangel Herrera and Enric Gallego arrivals, and about the second, he recalled that they needed" one more area player, corpulent. " They are two players who wanted to be here and who are excited to help us. They are two players that we had been following months ago and are joining the team. They are what we need, so I hope that tomorrow they can have minutes, "he concluded.